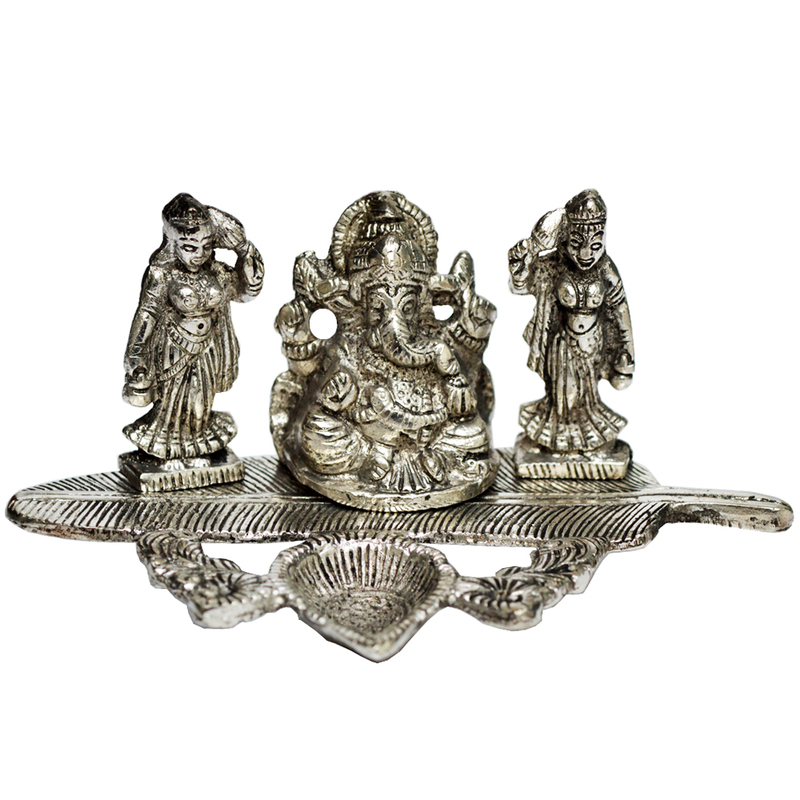 This Oxidized Ganesh with Ridhhi Sidhhi Figurines is sure to appeal to ardent devotees of Lord Ganesh, who would love to bring home the god Read More..of all pious beginnings. The intricate design work on the body of this set consisting of three figurines is of immaculate beauty, while the diya present in the front is ideal for carrying out various rituals. This piece is the perfect choice for all those buyers who are intending to bring piousness and prosperity to their households. Show Less..